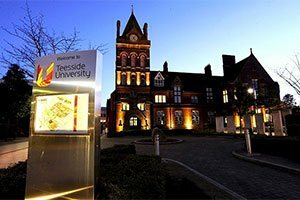 The Teesside University Business School MBA (Online) is a flexible global programme for ambitious working professionals and aspiring business leaders. You develop the skills, knowledge and mind-set to tackle the difficult challenges facing organisations of all sizes, drive strategic change and make a real, practical difference to the success of businesses and economies. 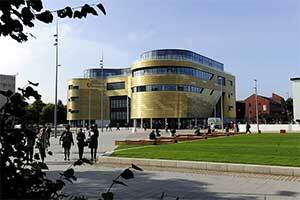 Learn more about the benefits of studying an MBA (Online) with Teesside University. By studying our MBA, you not only gain an internationally renowned qualification but you will develop entrepreneurial and leadership skills to make an immediate impact in the workplace. If you aspire to make a significant contribution to your organisation and society more generally by leading at a strategic level, this is the course for you. In a rapidly changing world, businesses and society face many challenges, opportunities and dilemmas. You explore these issues, drawing on multidisciplinary thought leadership, including business, social sciences and the humanities. This approach develops your critical thinking and exposes you to different perspectives to enhance your managerial decision-making skills. The module takes inspiration from the United Nation’s 17 Sustainable Development Goals as a basis for topical content, adapted to the dynamic nature of the global business environment and what is happening in the world at the time of delivery. In addition, this module provides inspiration and ideas for research with the hope that you take a much more critical approach to your research – given the exposure to a wider theoretical and contextual base. You consider the nature of entrepreneurial leadership, with a specific focus towards structure, culture and strategy. You utilise a range of case studies and live examples and inspect selected strategy development concepts, linked to public, private and third-sector organisations. You evaluate the relationship between entrepreneurial leadership and organisational performance. As the global business environment becomes ever more complex and volatile, there is a need for organisations of all shapes and sizes to think and act more entrepreneurially, innovatively and creatively in order to be able to change and adapt. This interdisciplinary module provides you with an understanding of the internal and external factors that impact strategic decision-making. You are introduced to a variety of strategic theories, tools and concepts, all in the context of the external environment and its impact on strategic challenges and choices. You are exposed to a variety of academic and practical material that you apply to your own organisation, or a live-case organisation, in order to appreciate the importance of developing and implementing innovative strategic plans for the success of the organisation, its key stakeholders and society more broadly. You develop your self-reflection and self-leadership skills and engage with 360-degree analytical tools to help identify your personal leadership strengths and areas for development. In a fast-paced 21st-century organisation, leaders need to be adept at navigating internal and external challenges, therefore a creative and entrepreneurial approach to leadership is essential to organisational agility and success. Through action learning sets and working with peers, you develop skills in coaching and mentoring to develop the teams in your organisation. You integrate learning and development and synthesise knowledge and understanding of theory and practice. You work towards this through undertaking a major project related to a business issue of significance within your organisation(s). You are introduced to the concept of the sustainable organisation, with a particular emphasis towards socio-economic impact. You analyse the relationship between various stakeholders and evaluate the relationship between entrepreneurship, philanthropy and sustainability. 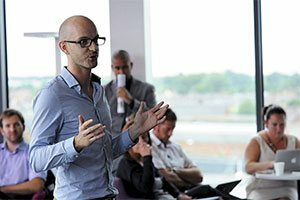 You gain an understanding of business in society and contemporary issues relating to philanthropy, and consider the role of government and policy-makers in shaping the legal, fiscal and cultural context for philanthropy and classical economics, and the role of the rational economic organisation. You are guided through your learning by module tutors who are experienced in developing and delivering high quality online and in classroom learning experiences, and supported through your learning journey through tailored learning experiences that have been designed for online learners, located across the world. You engage with content – such as video lectures, reading and online tasks – independent of other learners. However you are also expected to collaborate, network and immerse yourself in group learning activities through online collaboration tools designed to support peer to peer learning. These tools replicate the learning experiences that would be experienced in class through discussion and debate of concepts, theories and case application. The programme places an emphasis on the global context of business. You learn authentically with and through your peers to develop solutions to strategic challenges in organisations. Our MBA goes beyond business knowledge. Its primary focus is on the application of knowledge through acting on strategic challenges. A research informed approach to teaching permeates the programme, exposing you to the latest thought leadership in aspects of entrepreneurship, leadership and management and other disciplines through the multi-disciplinary Current Issues in Business and Society module. 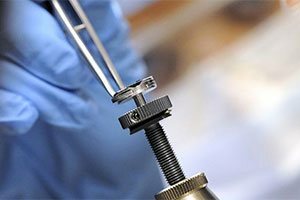 This research informed approach goes beyond academic research and includes professional and applied research, informed and delivered by a vast network of business professionals who engage with the programme through guest lectures and projects. You should expect to engage in a mixture of synchronous and asynchronous learning as part of your learning experience. For a standard 20 credit online business module, a typical week of learning may include; 3-5 hours of synchronous learning, possibly in the form of tutor-led webinars, peer-to-peer learning activities and discussion forum-based activity, plus 10-12 hours of asynchronous learning, possibly in the form of online tutor led videos, reviewing additional learning materials in written, audio and video format, online quizzes and assessment based work. The programme adopts a range of formative and summative assessment methods to suit the demands and requirements of the applied nature of the MBA. These include business reports, case study analysis, presentations, self-diagnostic assessments, reflective reports and a research proposal and associated dissertation. Typically graduates move into general or senior management and strategic leadership roles, internal consultant/project leadership roles or into external consultancy roles. You build on your existing work experience and skills, and the programme enhances your ability to lead and manage change. Graduates from this course are confident, enterprising and proactive. They are attractive to employers across a broad spectrum of sectors and job roles and many go on to become successful business leaders and entrepreneurs. 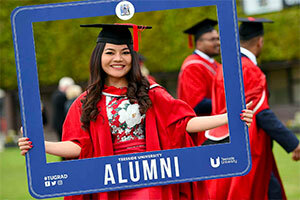 You must be an honours graduate of any discipline, with a minimum of a 2.2 obtained from a recognised university, or hold an equivalent professional qualification acceptable to Teesside University Business School. You must also have a minimum of two years, graduate-level, full-time work experience in a relevant role (for example, management / administrative / professional / supervisory capacity). You may still be considered for entry if you do not meet these criteria if you have significant management experience and/or a record of achievement in business and leadership. Given the work-based approach to assessment that underpins this programme, there is an expectation that applicants are currently/have been employed (preferably in management roles) and will be able to refer to their roles and their organisations in the completion of their assessments. Students whose first language is not English must demonstrate proficiency in the English language equivalent to IELTS 6.5. Applicants who have completed a recent Level 7 business-related professional qualification may be offered advanced standing onto the programme. Given the diverse range of professional qualifications and credit value for these qualifications, applications will be considered on an individual basis following the University’s Recognition of Prior Learning process.